2018 Annual Meeting Registration Is Now Open! 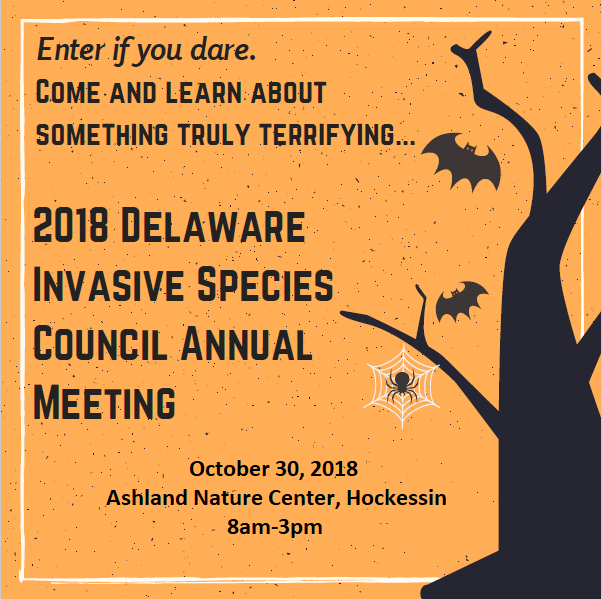 – Delaware Invasive Species Council, Inc.
For the afternoon sessions we have coordinated with our partners to provide field tours. See below for field tour descriptions (or download a PDF) and make your selection when you register. Space on each tour will be limited, so please only attend the field trip you sign up for during registration. Brandywine Creek State Park: Come along with us through meadow and forest at Brandywine Creek State Park. Hop a hay wagon at the nature center and learn about meadow management in the park and how we are working to control invasive species in the meadows using tools including mowing, herbicide, fire, and grazing. We will hike through Tulip Tree Woods and explore the restoration of the nature preserve and compare it to the younger forest outside the preserve’s boundaries. Ending back at the nature center, explore the start of a pollinator garden project led by volunteers and discuss future restoration projects in the park. Mt. Cuba: Visit Mt. Cuba’s Greg Tract, lovingly referred to as Zone 9 for a guided wagon tour of their latest natural lands project. Mt. Cuba Center conserves natural lands in order to promote ecosystem health and function, to support environmental education and scientific research, and to maintain the character of the regional landscape. Mt Cuba actively turns large parcels of farmland back into native forest. The reforestation of 50 aces on this site will increase the neighboring parcels’ core forests working to reducing edge habitat and increasing biodiversity. Reforestation is an effective and progressive method of invasive species control. By developing a continuous canopy, thus blocking sunlight to the ground, unwanted plant species can be controlled all while creating excellent habitat for many interior forest species, like the wood thrush. Other invasive species control methods such as fire used in open meadows will be discussed. The tour will also cover plans to increase habitat by 70 acres for ground nesting birds and there is a beautiful view of the pollinator support meadow at the top of the hill. This tour will last approximately 1.5hrs and led by Mt. Cuba Natural Lands Steward, George Schurter. Winterthur: Join Winterthur’s Natural Lands staff for a hay wagon tour of Browns Woods Meadow and Upper Armour Meadow. Browns Woods Meadow, visible from Winterthur’s famous garden, is managed using a variety of practices. A combination of mowing, herbicide treatment, seeding and planting, are used to gradually improve the meadow for wildlife- specifically pollinator- habitat. Redtail Restoration is contracted to perform much of the invasive species treatment, and the Bee Watchers program has planted pollinator plots within the meadow, in addition to monitoring pollinator activity throughout the meadow. The tour will pass by the adjacent Browns Woods, where Winterthur’s herd of Boer goats have been used to control invasive shrubs. The second stop of the tour will be Upper Armour Meadow. This meadow was burned in 2017 for invasive and woody plant suppression. After the burn, there was a resurgence of uncommon orchids, specifically Platanthera lacera and Spiranthes lacera, as well as Green Milkweed, Asclepias viridiflora. This meadow was identified by American Birding Association staff as quality American Kestrel habitat, and a nesting box was installed in 2016. In addition, about ¼ of the meadow has been converted to a reforestation zone, which will attempt to create a corridor between two forest patches. The tour should last 1-1.5 hours. Parking is available in the main Visitor Lot. Coverdale Farm: Visit the Coverdale Farm Preserve and tour the Burrows Run Nature Preserve. 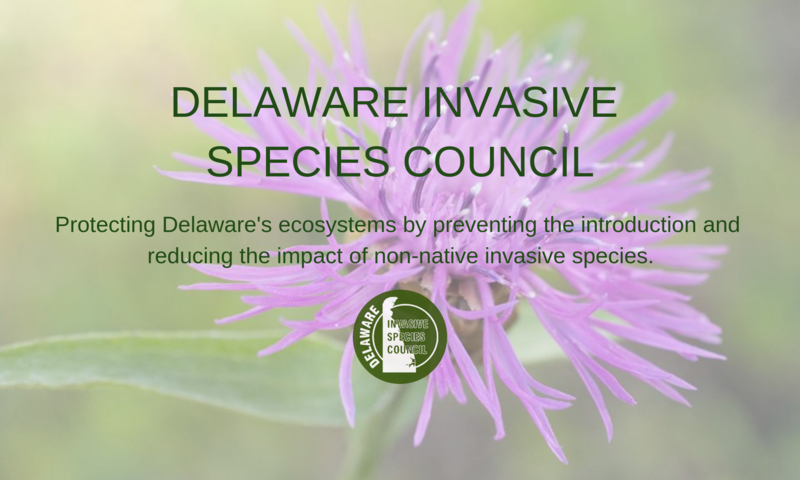 The Delaware Nature Society has managed this 200-acre Nature Preserve for native biodiversity since 1991. The group will visit open meadows, wetlands and restored woodlands where we will discuss management strategies that have been used to maintain, improve and create these important habitats. We will focus on our efforts to control invasive alien plants both mechanically and chemically. The tour will be led by Dave Pro and Jim White. Next PostNext DISC Members Field Trip a Success!